The Burgundy Region of France is known world-wide for its fine wine. 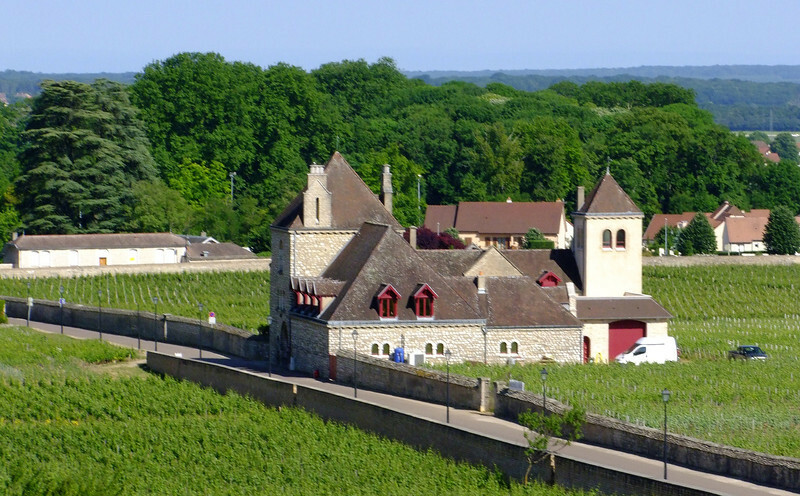 It has thousands of acres of vineyards with hundreds of chateaus. The area has very gentle hills and a climate that are ideal for grape production. We stayed in the city of Beaune which is the headquarters of the Burgundy Region and is flooded with tourists. We took a tour of the wine area and learned a great deal about grapes and wine production. For example, the grape vines live about 70 years and the oldest vines produce the best grapes, but in lower quantities. We celebrated our 40th Wedding Anniversary in Beaune at a beautiful but unusual hotel that had been an abbey for hundreds of years - The Abbaye De Maizieres. The monks made wine at the abbey back then. This chateau was occupied by the Nazis during WWII. They threatened to burn it down but the citizens protested and the Nazis backed off.